This light and peppery salad with a hint of dill is so good and perfect for spring or summer! In a bowl, combine the dressing ingredients. 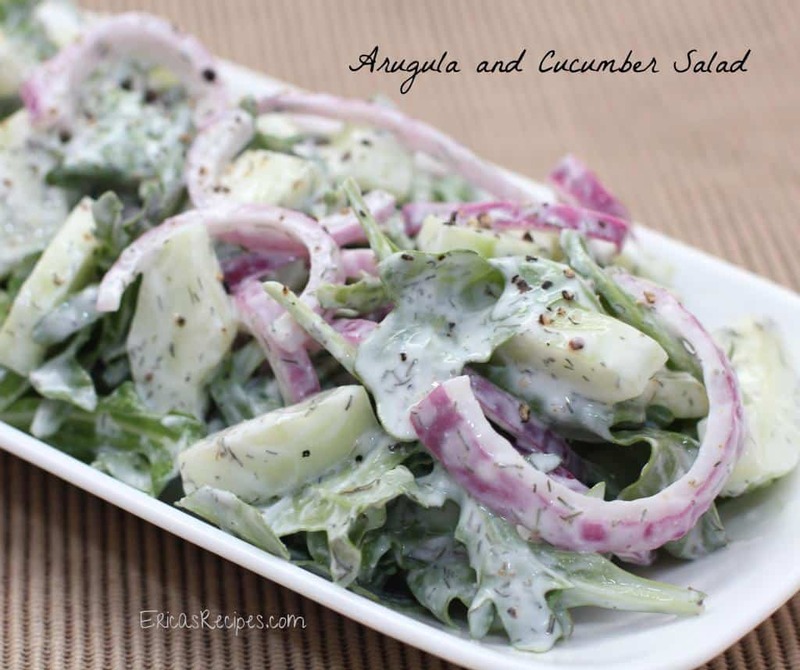 In a separate large bowl, toss together the arugula, onion, and cucumber. Add the dressing and toss. Serves 6-8 as a side salad. This seriously looks so good it’s ridiculous…thanks for sharing the recipe!